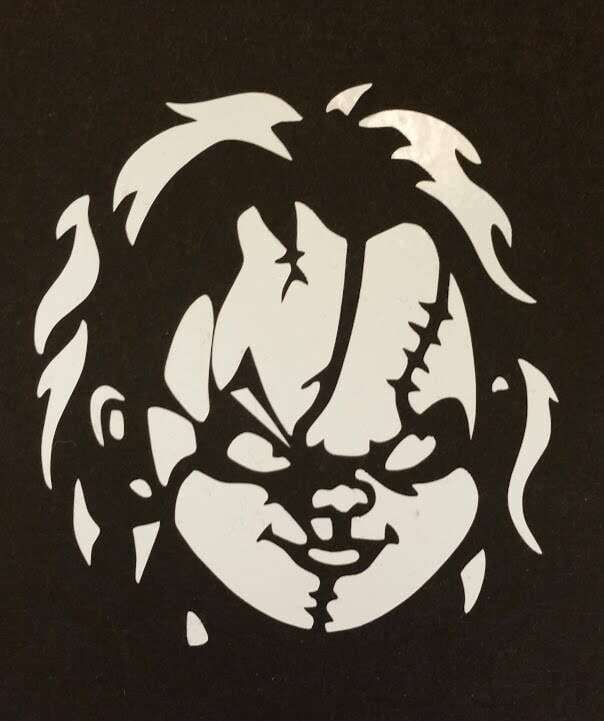 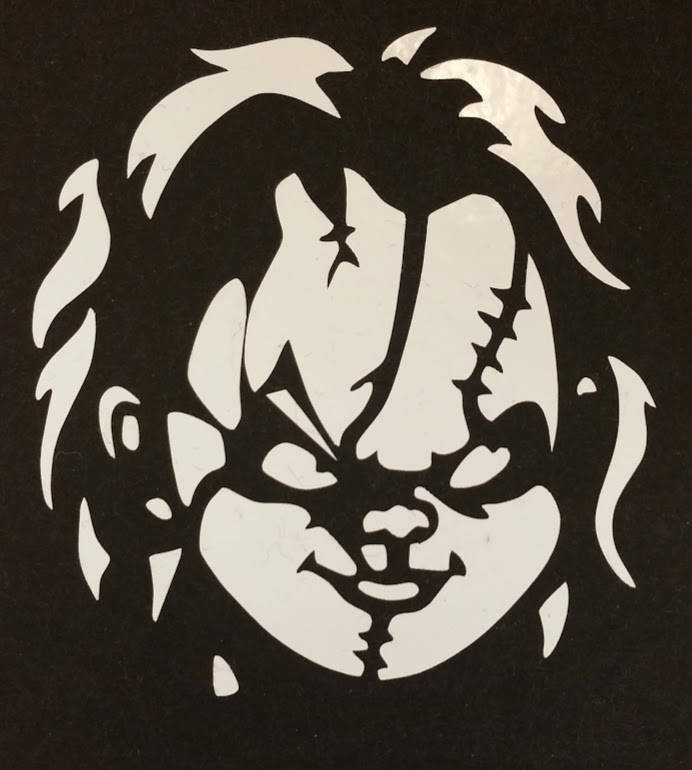 This scary Chucky inspired vinyl decal is made with 6 yr white outdoor vinyl. 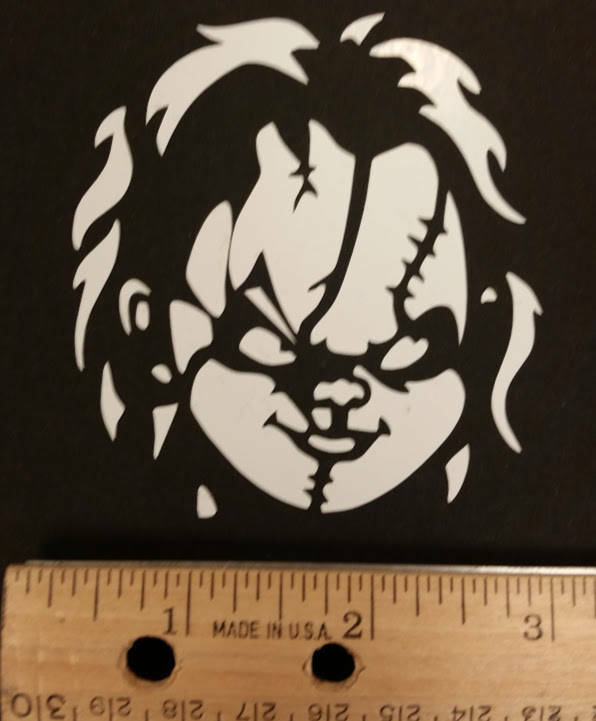 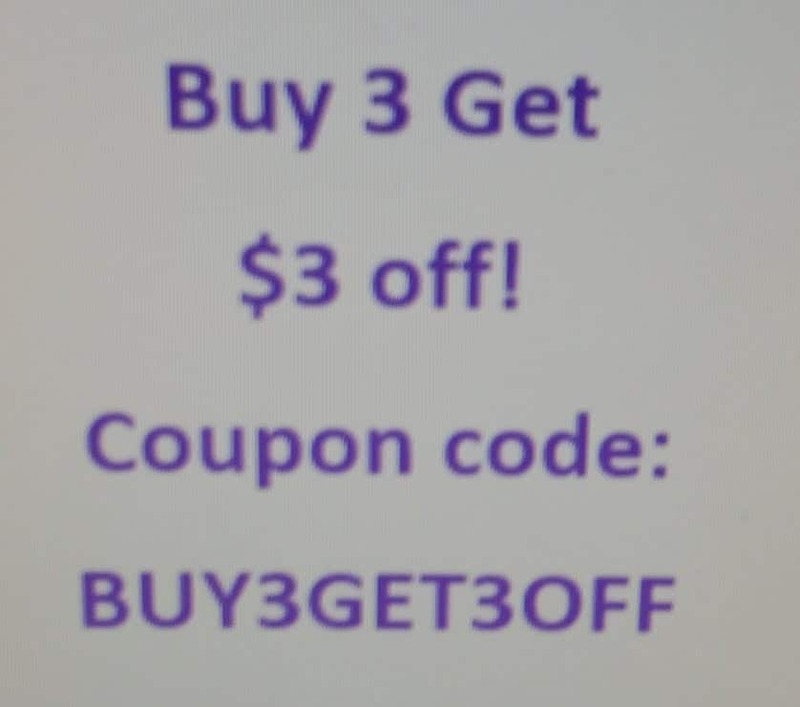 It measures approximately 3"W X 3"H. If you'd like a different size or color, message me and I'll see if I can do that for you. 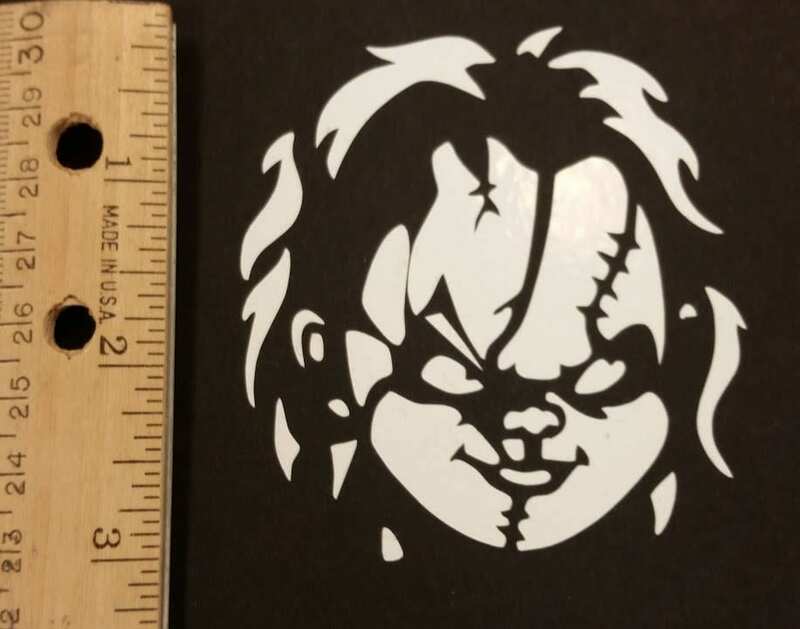 This decal will ship 3-5 business days upon ordering.